English French phrase translation is tricky business! 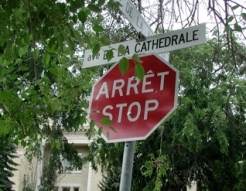 Direct translations are usually incorrect, and moreover, the French language has an entirely different grammar system than English. For example, did you know that in French, nouns are either masculine or feminine? So if you had an English phrase containing the word "chair," the French translation would be the feminine "la chaise" (the chair) rather than just "chaise." 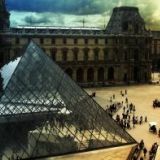 Having said that, if you are planning a trip to romantic Paris (the city of love), to the shores of the French Riviera, to the wine region of Burgundy, to the chateaux region of the Loire Valley, or to the French Alps, picking up some basic English French phrase translation is a good idea and may help you not only get by, but impress the natives with your conversational French skills. Believe it or not, movies with subtitles are a great way to make use of English French phrase translation. Basically, pick a film in English or a foreign film with French subtitles (or vice versa). Then as soon as you come across a phrase you are interested in, write down the exact English-French translation and practice, practice, practice! Not only will the phrase itself be current and correct, but you have the added bonus of hearing the correct pronunciation. The next tip is to get a hold of an English-French or French-English phrase book which is organized by topic. 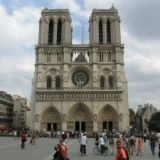 Typical topics include talking about the weather, food, how to shop, colors, asking/telling time, asking for directions - all of which should provide you some practical skills when you visit France. A lot of people find flash cards helpful. Simply write the English phrase on one side of the card and the French translation on the other. Then test yourself over and over and over again until you have the phrases nailed. For children, you can add pictures drawn by hand, cut out from a magazine, or printed from the Internet.